Advance ticket sales have ended - please buy your tickets at the door! 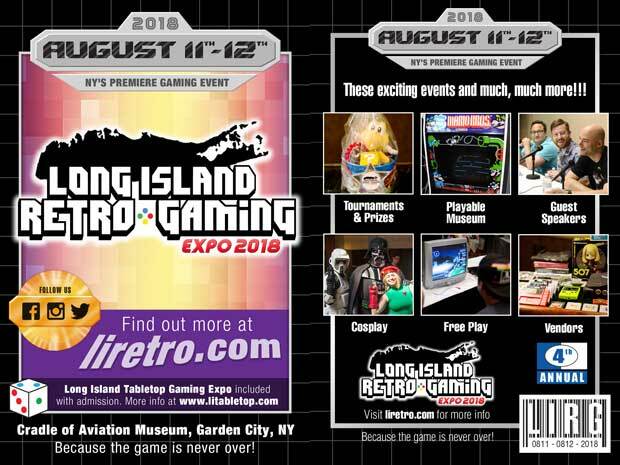 New for 2018 - The Long Island Tabletop Gaming Expo is part of the Long Island Retro Gaming Expo! One ticket – 2 Expos! More info at http://www.litabletop.com.